BuddhaHand: BuddhaHand - How is made? Finally, today I made it to the press interview with Lee Annie from New Life Post in KL. Below are all my 38 pieces proudly displayed at my brother house at Kepong. And the obvious question by Annie is how the BuddhaHand Stone is made. It seems I can't get away from this question. Here is the "1/2 answer" to the question! 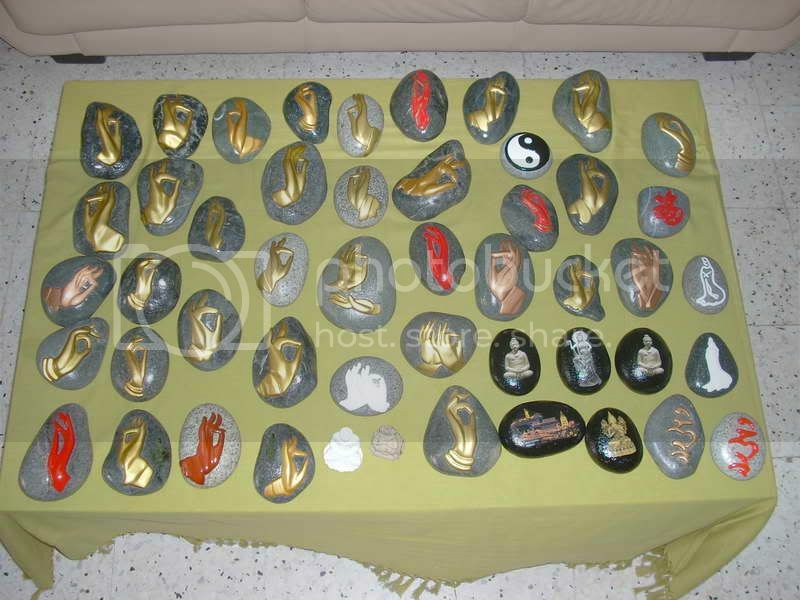 I will be honest how I came to make the BuddhaHand stone. 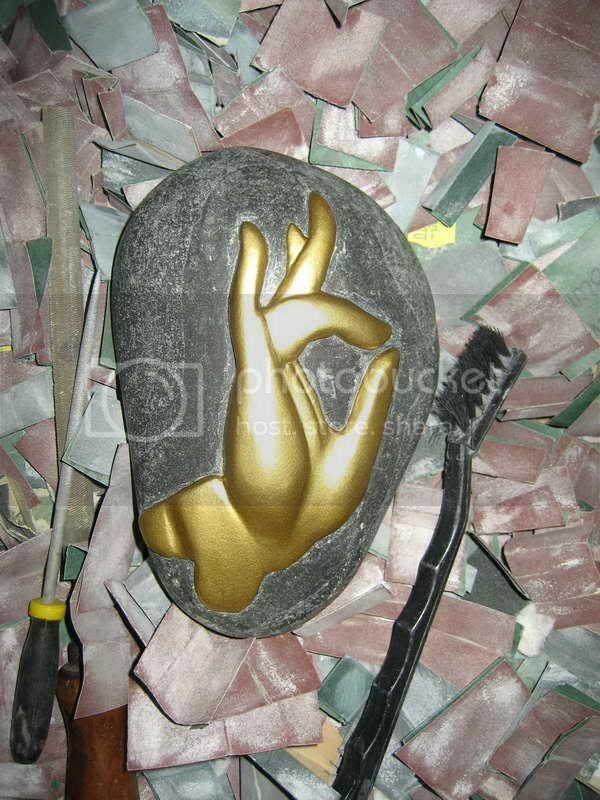 In 2008, I tried to make 3D effect on the stone with rubber paint and I encountered many problems. Rubber paint is too soft and it won't allow you to build multiply layers. Rubber paint simply cannot stick together to create the embrossing effect. On the eve of Chinese New Year 2008, I remember having a very strange dream. In the dream I saw a "movie scrip" that show me how to 3D effect step by step. Maybe my sub-conscious mind was activated to come out with a solution to my problem. During the new year, I went through the process and later did 3 pieces to convince that the technique worked. 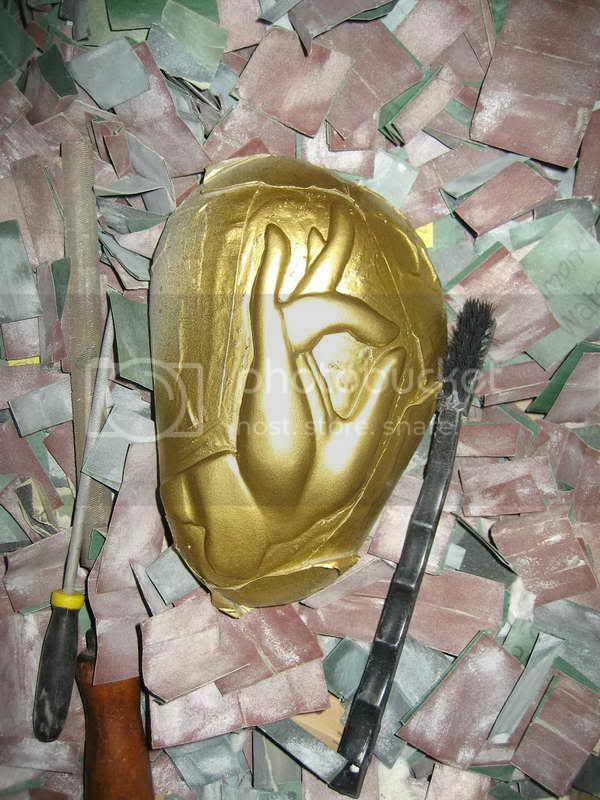 The BuddhaHand project was a greater challenge as I could achieve more multiply layers effect. Like they said, the rest is history. Practice, more experiments and hard work make it perfect. The below pictures give you some ideas how is made. There is a lot of craving with dentist tools, lot of sanding and masking on the paint work. Each stone can take 4 weeks to a few months to make it. I get the stone from fish or garden shops in Penang. Normally, I look for unique shaped stone to produce my BuddhaHand. 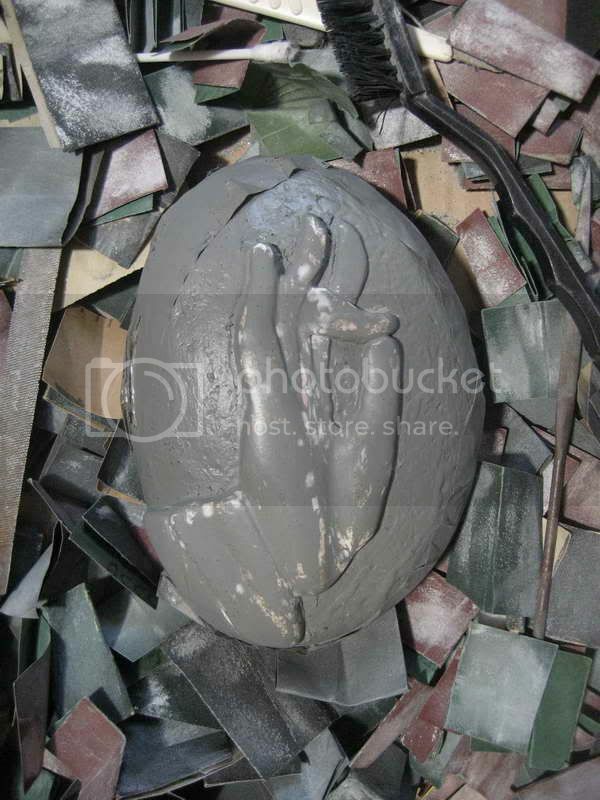 The stone is given a good clean and soak over night in salt water to cleanse it. Ok. That is the furthest I can take you on the details how I made the BuddhaHand. I guess you can call this a trade secret.